Jason Aldean has been added to the Summerfest 2011 lineup. Ticket King Milwaukee will have Jason Aldean Summerfest tickets available when they go on sale. Jason Aldean will headline the Marcus Amphitheater on July 8th along with Chris Young and Thompson Square. Jason Aldean has been taking the country music scene by storm with his most recent album, "My Kind of Party." 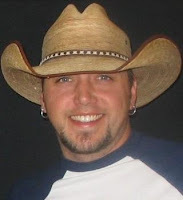 Aldean first appeared on the country music scene in the late '90s, but was dropped from his first label for not being able to put out music fast enough. Aldean then signed with the independent record label, Broken Bow Records. Two of his previous albums have gone platinum and another one gold.